You may cancel your account at any time throughout our Websites. Your account will only be cancelled and closed after you have returned all books that have been rented to you (if any) and all transactions have been processed including payment of assessed penalties or the cashing of any refund check. 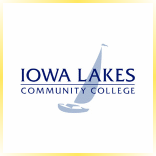 Iowa Lakes Community College Campus Stores may cancel your account in its sole discretion any reason, including but not limited to inactivity or misuse. All content on this site, including text, site design, graphics, images, data compilations, lists, bibliographic information, book covers and software, is the property of Iowa Lakes Community College Campus Stores or its licensors and is protected by U.S. and international copyright law. Downloading, printing, copying, distributing or using the contents of any pages in the site in any manner inconsistent with the license granted above and without prior written consent from Iowa Lakes Community College Campus Stores is prohibited. All rights not expressly granted herein are reserved. Course requirements (including updated data from publishers and changes in instructor preferences), pricing and availability are subject to change. We cannot guarantee that all items displayed will be in stock at the time of your order. With respect to items rented through our website, we cannot confirm the price of an item until you place an order. Despite our efforts to make our website operate error-free, a small number of the items we offer for sale on our website may be mispriced. If an item you order is not correctly priced, we will, at our sole discretion, either contact you or cancel your order and promptly notify you of such cancellation. Except for the warranties and representations made on the site, TO THE EXTENT PERMITTED BY APPLICABLE LAW, Iowa Lakes Community College Campus Stores PROVIDES THIS SITE "AS IS," AND DISCLAIMS ANY AND ALL WARRANTIES, EXPRESS OR IMPLIED, AS TO THE AVAILABILITY OR CONTENT OF THE SITE, OR THE PRODUCTS AND SERVICES PROVIDED BY THE SITE, INCLUDING, WITHOUT LIMITATION, IMPLIED WARRANTIES OF MERCHANTABILITY AND FITNESS FOR A PARTICULAR PURPOSE. Iowa Lakes Community College Campus Stores DOES NOT WARRANT OR REPRESENT THAT THIS SITE WILL BE FREE OF VIRUSES OR OTHER HARMFUL COMPONENTS. Iowa Lakes Community College Campus Stores WILL NOT BE LIABLE FOR ANY DIRECT, INDIRECT, INCIDENTAL, CONSEQUENTIAL OR PUNITIVE DAMAGES ARISING FROM USE OF THE SITE. THE DISCLAIMERS AND LIMITATIONS HEREIN MAY NOT APPLY IN CERTAIN STATES. IF FOR ANY REASON THESE DISCLAIMERS AND LIMITATIONS DO NOT APPLY THEN Iowa Lakes Community College Campus Stores 'S LIABILITY WILL NOT EXCEED REFUND OF AMOUNT ACTUALLY PAID.